It's official. 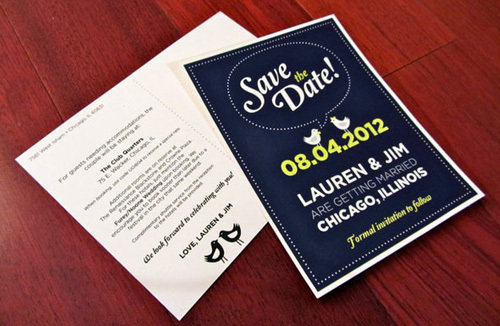 Wedding Save the Date postcards are the largest single category of postcard by far. 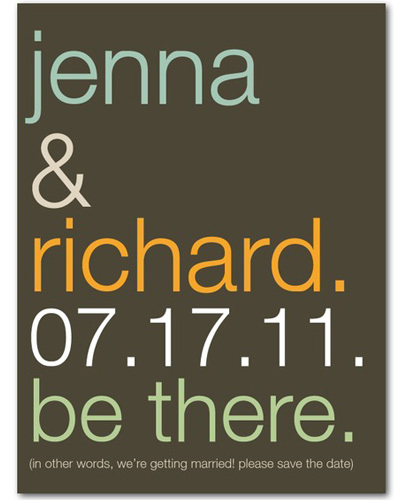 Here are the the best Save the Date postcard designs that I could find. Here's why I liked these: good type and layout, simple messages, photography that let the couple look like themselves, hint of fun, and originality. 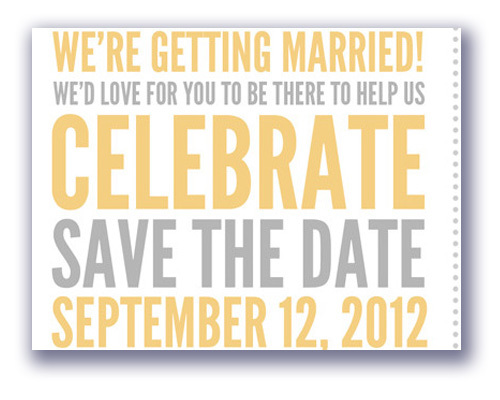 A Save the Date postcard by designer Casey Decker. Made with tender loving care because, well, its for Casey and Laura. 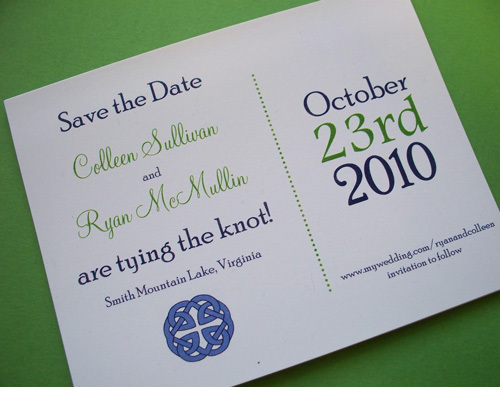 A Save the Date postcard by designer Maureen Noone. 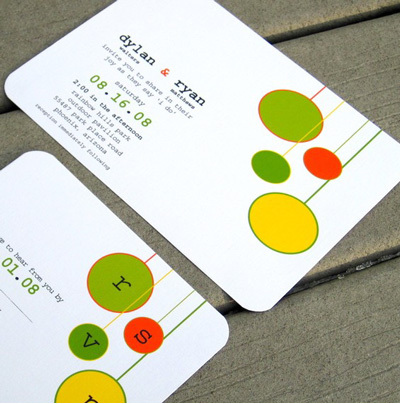 Bold, yet approachable graphics and wonderful execution. 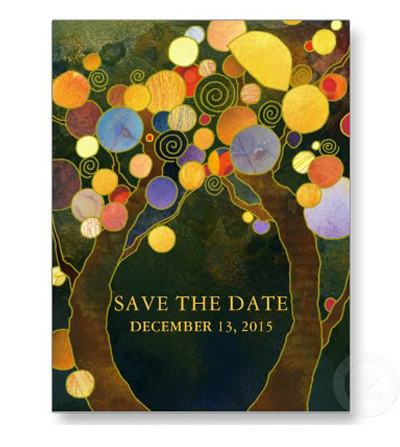 A Save the Date postcard by Kristen Ashton. Simply type to say it all. 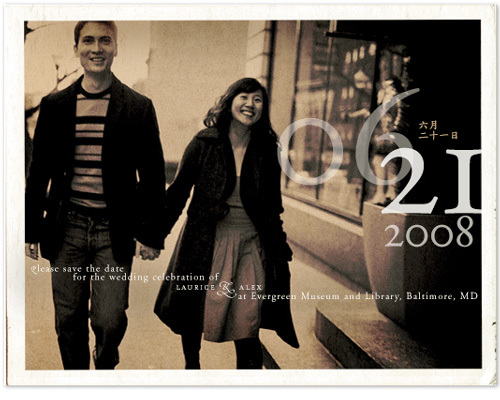 A Save the Date postcard by Daphne. Love the storybook aspect of this. 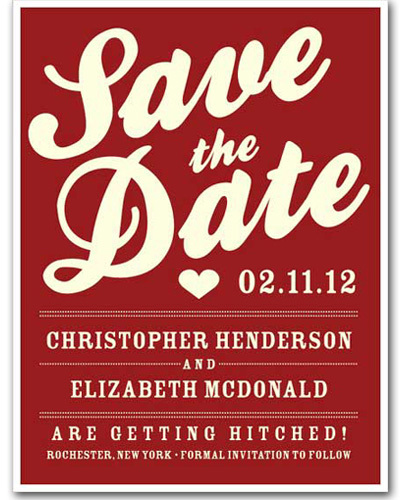 A Save the Date at etsy by StelieDesigns. 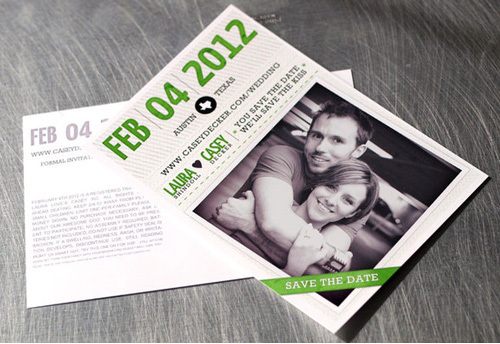 Just the facts, with good design sense; it's just right to break through the clutter the mail in the mailbox. 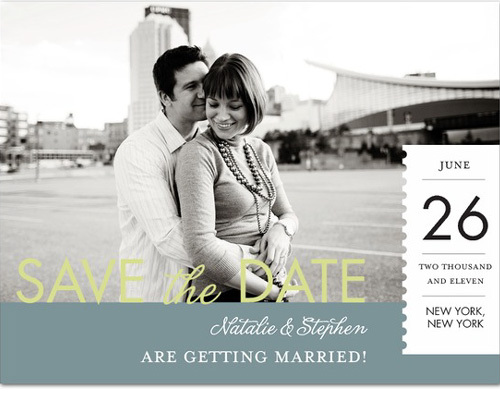 A Save the Date postcard at Minted by Helena Seo Designs. Nothing beats a snapshot. 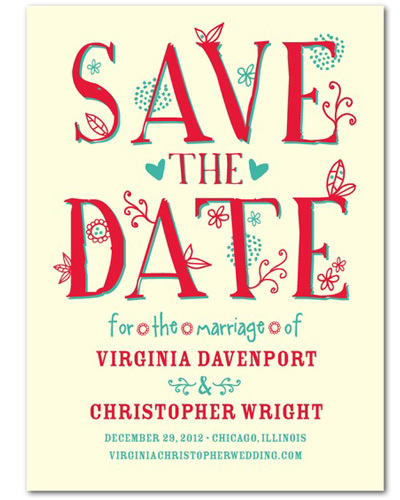 A Save The Date postcard from Wedding Paper Divas by Pinkerton Design. The classic floral design. 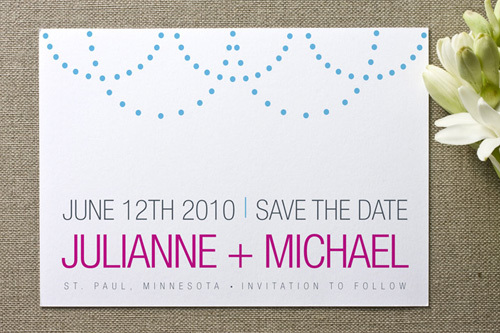 Another Save The Date postcard from Wedding Paper Divas. The modern spin. 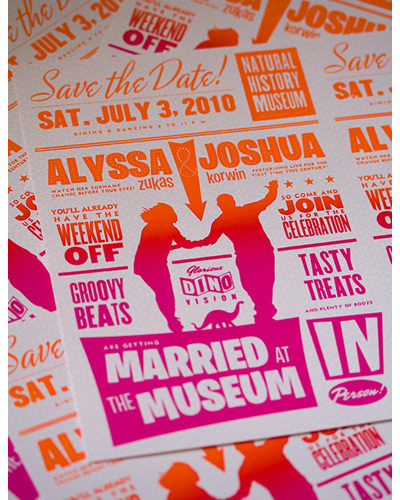 And yes, a Save The Date postcard from Wedding Paper Divas. The classic floral design.